HIV prevalence has risen greatly among the Filipinos in the last decade. This is surprising seeing that the rest of the world has seen declining rates, credited to campaigns for early HIV testing and management. In the Philippines, about 56,000 people were living with the virus in 2016, compared to 5600 people in 2006. This is a whooping ten times the rate in just 10 years. The United Nations estimates that the number of new cases identified each year has risen by 140% since 2010. Why the alarming growth in HIV prevalence? Researchers have attributed these statistics to a new drug-resistant virus strain, AE. 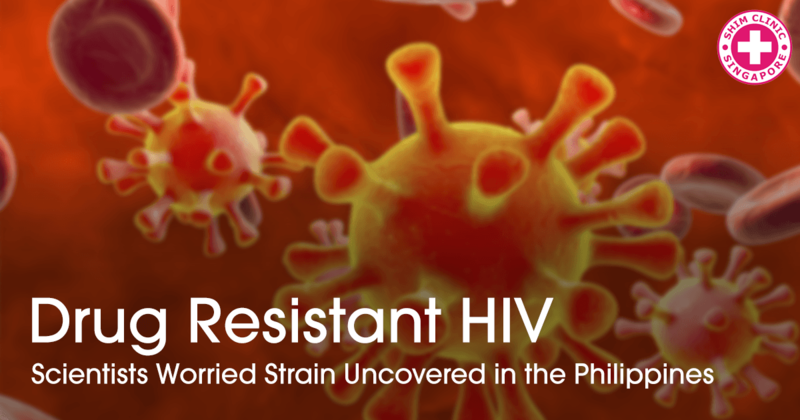 This strain is more resistant to antiretroviral (ARV) drugs and seemingly progresses to AIDS faster than other strains, such as sub-type B, which is prevalent in Western countries. Dr. Edsel Salvana, director of the Institute of Molecular Biology and Biotechnology at the University of the Philippines, suggests that HIV is a shape-shifter, capable of transforming itself into a new and different form each time it affects a cell. There are about a hundred different sub-types of HIV including sub-type A which is common in West Africa, sub-type D which is seen in Eastern and Central Africa, E which is common in Southeast Asia and is the dominant form for heterosexuals, among others. Salvana notes that most global research has focused on sub-type B, which only accounts for approximately 12% of the total infections. This is in contrast to the limited research available into sub-type C for instance, which accounts for nearly 50% of the total population living with the virus. It is very common in countries in Southern Africa, as well as the horn of Africa and India. Similarly, there is limited knowledge of the sub-type AE in Philippines, and its level of virulence and drug resistance. Who are more at risk? The younger, sicker patients are the ones more infected by sub-type AE. They are more resistant to ARVs. In addition to this, this sub-type progresses to AIDS way faster. Dr. Salvana insists that research must be conducted into the new strain. HIV must be considered as a legion of viruses which evolve constantly. Any new mutation could possibly result in a new pandemic. Treatment for the sub-type AE must be developed, otherwise all the research and effort done over the years will be rendered void. Each sub-type must be regarded in its own uniqueness, rather than assuming a size-fits-all stance on the focus of research. There are numerous HIV sub-types across the world. Research into strains such as sub-type AE is mandatory if countries like the Philippines are to achieve progress in suppressing this multi-headed serpent. This notwithstanding, even with all the research in the world, HIV cannot be managed if people will not take care of themselves. Sexually active individuals must be encouraged to use condoms. This is particularly an issue in the Philippines, where the predominant religion frowns upon the use of contraceptives. Additionally, HIV testing must be insisted upon. This is in a bid to prevent transmission of the virus to uninfected individuals.